Wild About is a celebration of the flora and fauna commonly found in our cities. Instead of fact sheets, this space will showcase books, art, music, societies, and whimsical objects about urban-adaptable plants and animals. If you would like to see your favorite urban-oriented plant or animal featured, please email us at info at localecology dot org. Two things inspired this edition of Wild About. The first is Laline Paull's excellent novel titled The Bees. 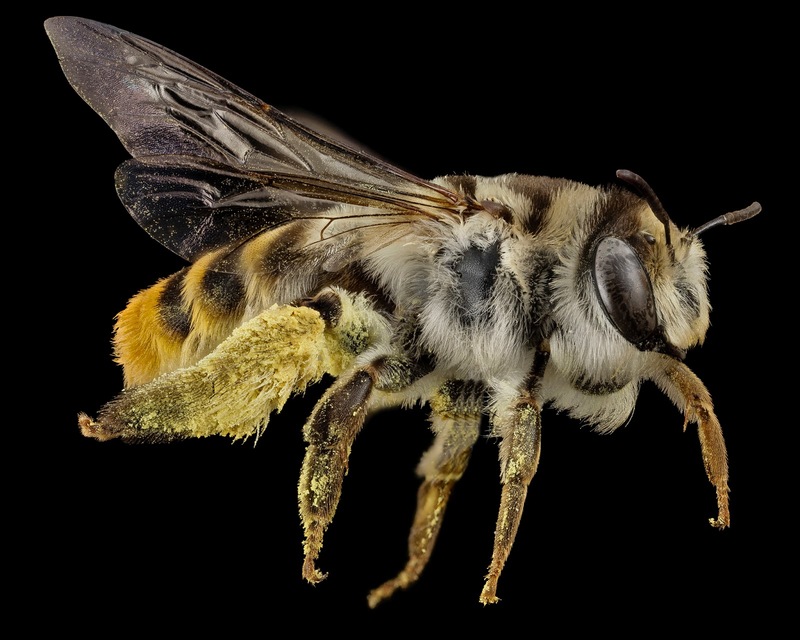 The second is a Your Wild Life blog post about urban native bee research at North Carolina State. If you need to expand your summer reading list, I strongly recommend The Bees. Emma Straub reviewed the book for the New York Times. I was browsing issues of Edible East Bay for photographs of iced tea (!) and came across two bee-related essays, one about native bee habitat restoration and the other about backyard bee keeping. Edible Austin profiled Brandon Fehrenkamp, owner of Eastside Honey Company. In addition to my love of iced tea, I like candy. 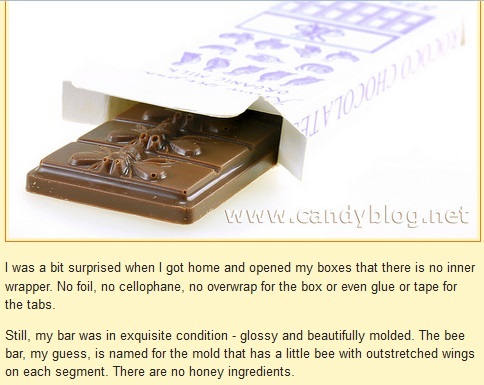 I have not eaten the Rococo Bee Bar, but Candy Blog gave it high marks: 7 out of 10, or "worth it." Did you know that there is a bee box in Union Square Park?! And that you can buy NYC rooftop honey at the Union Square Greenmarket? This Wild About would not be completed without a nod to children. An adventure with Ms. Frizzle and her students is a great way to learn about the natural world and scientific concepts. The Magic School Bus: Inside a Beehive does not disappoint. Finally, Design*Sponge has a nice round-up of objects inspired by bees. Would you like to read more Wild Abouts? 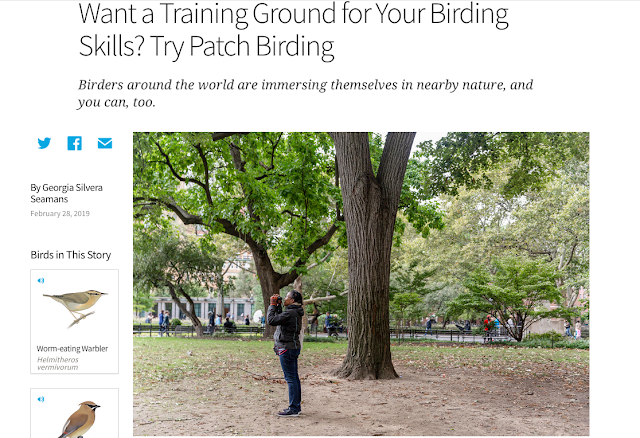 Check out other posts in the series: Horses, Snowy owls, Squirrels, Eating insects, Chipmunks, Pigeons, Ginkgo. P.S. Want to raise bees in the city? 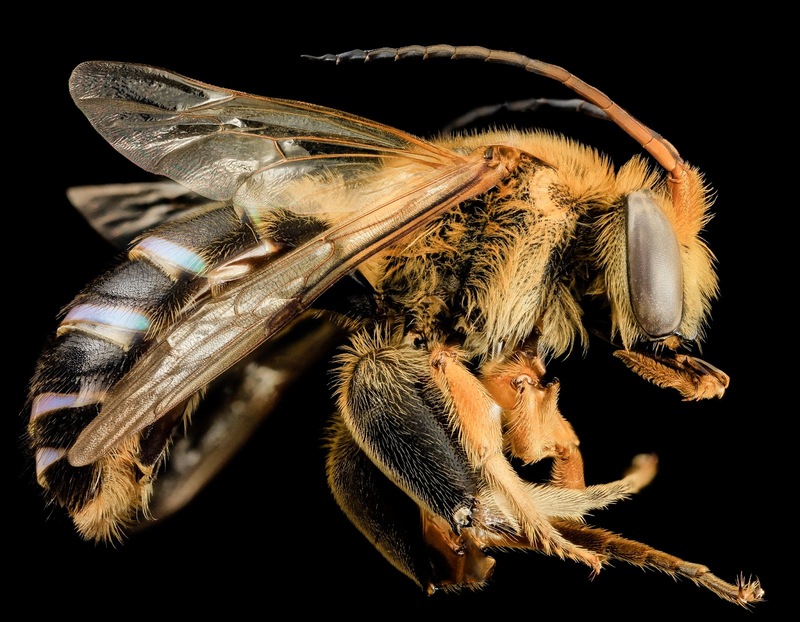 Listen to this hands-on guide by beekeeper James Fischer on WNYC. * I discovered the USGS Bee Inventory and Monitoring Lab Flickr via Legal Nomad's Tutorials on the Art of Photographing Wildlife. Wild About was inspired by the Animal Love series at Design*Sponge. Amazing photos...I always include long blooming plants that bees love in all my garden designs! Favorite T-Shirt I bought for my son years ago Bee-Happbee! If your son still has the tshirt, please share a photo on Facebook. I noticed you have a button to follow you on Pinterest. When I clicked the button it say you have been blocked. I am assuming you did not block me personally : ) and perhaps you don’t want anyone following you on Pinterest but just in case it is a mistake I thought you might want to know. Tried to email you but it failed...that could be my spelling! That is strange about the Pinterest button. When I clicked on it I was directed my boards. I am not sure how to advise you.